This is no ordinary strawberry shortcake. Perfect for when strawberries are in season when they not only taste great but are cheap too. 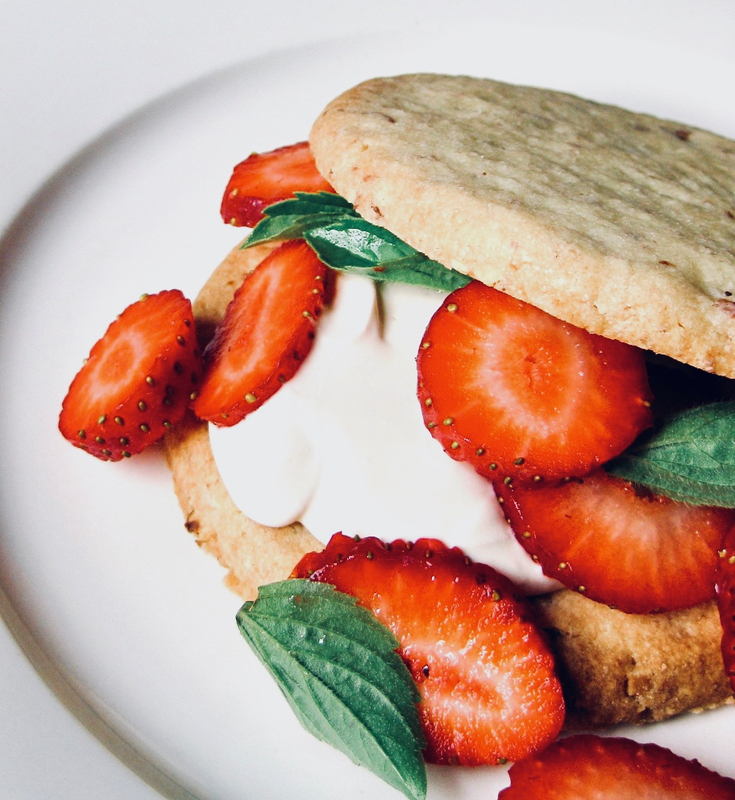 Fairly easy to make, always impressive and lovely to eat, this almond shortbread and with strawberries served with baby basil leaves and brown sugar creme fraiche is a recipe I’ve held onto for years. 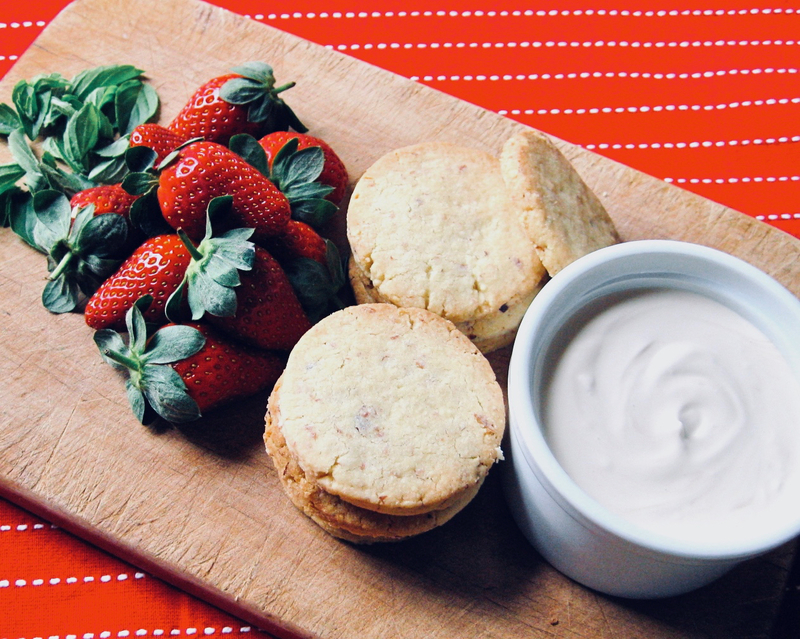 Ideal for dinner parties, afternoon tea or family get togethers, you can make the shortcake the day before and it takes only minutes to assemble. While you can use almond meal in place of processing your own almonds, you won’t get the rustic, chunky texture that adds another surprising textural element to this dish. Serve it in large singular serves, or make smaller biscuits and serve with a pot of cream on the table. If you don’t have dessert wine sitting around, then it’s perfectly fine to serve strawberries fresh; that way kids can enjoy too. And it is okay to use sour cream instead of creme fraiche and regular basil leaves sliced finely if you can’t get baby basil. Combine creme fraiche, brown sugar and vinegar. Put in fridge till needed. Process the almonds till they become like coarse breadcrumbs. Add flour, pinch of salt and almonds. Stir till a dough forms. Roll and cut into pieces, rounds or squares, large or small. When you are ready to serve, soak the strawberries in the wine for 5 minutes. Then pile the fruit and creme on top of the shortbread and sprinkle with basil.